When our editorial committee decided on “Content Curation” as the overall theme of this issue when planning back in 2011, we knew that it would be an important topic for the nonprofit sector, but we didn’t anticipate that, in some ways, 2012 would turn out to be the year of content curation, as Beth Kanter predicted in January. If you’re still unsure of what the term encompasses and why it’s relevant to nonprofit work, see our “What’s Hot: Content Curation” article in the new issue for a quick introduction. 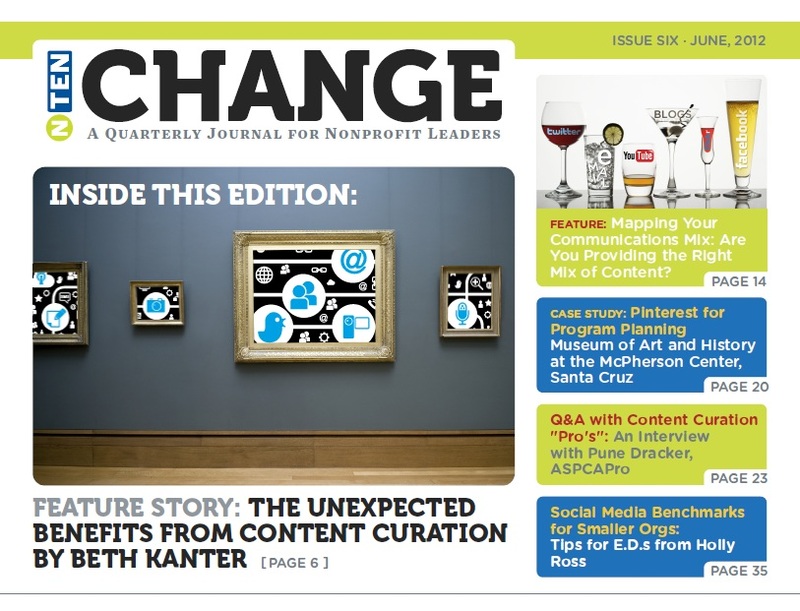 I’m pleased to announce Issue Six of NTEN:Change, A Quarterly Journal for Nonprofit Leaders! “The Unexpected Benefits of Content Curation for Your Staff,” by Beth Kanter, who makes the case for improving productivity and effectiveness with content curation practices. 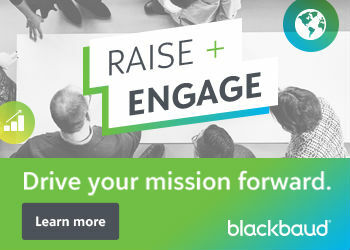 “Mapping Your Communications Mix,” from Idealware’s Laura Quinn, with tips and examples for mapping the right mix of content for your channels–and organizational goals. “Case Study: Pinterest for Program Planning,” documenting one museum’s application of Pinterest to meet internal program and project planning needs. An Interview with ASPCAPro’s Pune Dracker on Content Curation. Nonprofit Leaders talk about their balance (or unbalance) of IT for mission versus keeping the org’s lights on.